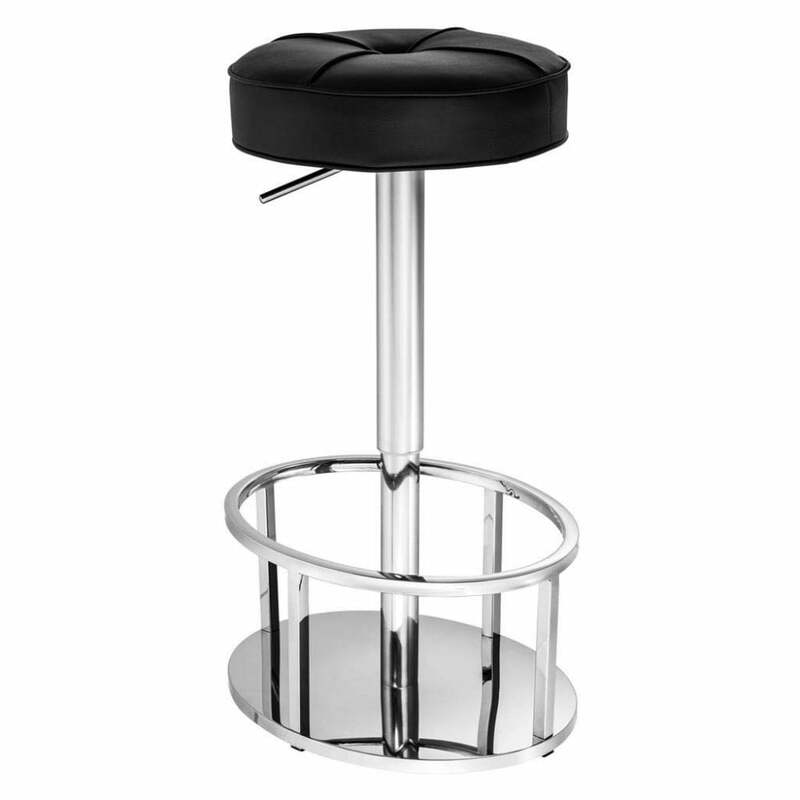 Sleek and stylish, the Thibault Bar Stool by Eichholtz has endless designer appeal. The 1950’s look is contrasted with an industrial twist. Featuring a round seat and height alteration mechanism, this statement stool is available in either a glossy gold or polished stainless steel finish. Built with a combination of MDF, plywood and polyethylene, the seat is upholstered in quality faux black leather with a single button stud in its centre. Ideal for modern kitchen counters, home bars or beautiful kitchen islands, Thibault will bring a touch of glamour to any interior scheme. Thibault's sturdy framework is crafted with an oval cage footrest and base which adds a contemporary touch to this retro design. Make an enquiry for more information.